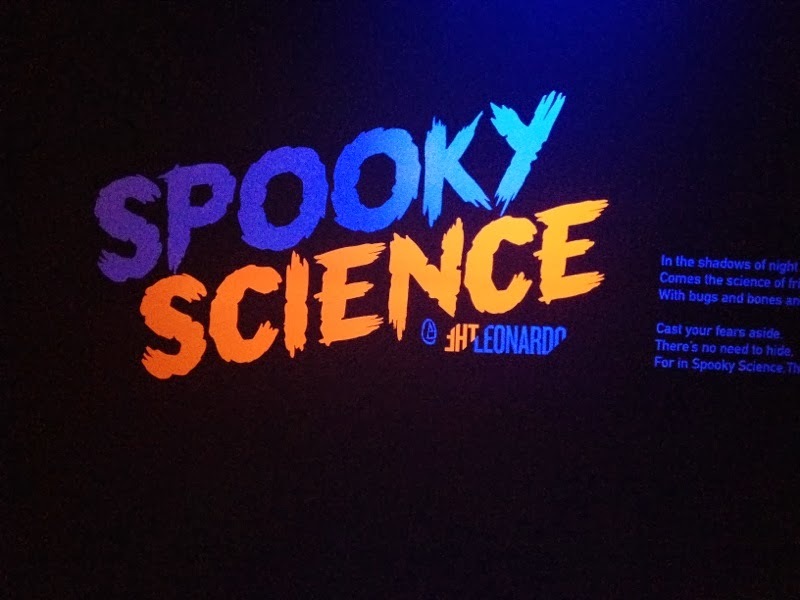 We were lucky enough to get to experience all the spooky science the Leonardo had to offer us. My cute Lolly girl is not a fan of spooky things, but after some coaxing to get her in the door, she really did enjoy it. 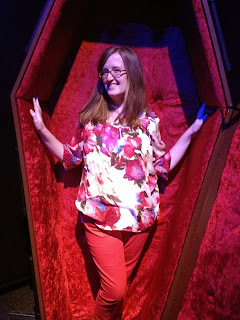 We started out at the creepy, red velour lined coffin photo op. The family that poses together stays together. But I think that the highlight of the exhibit was BY FAR the shadow play area. 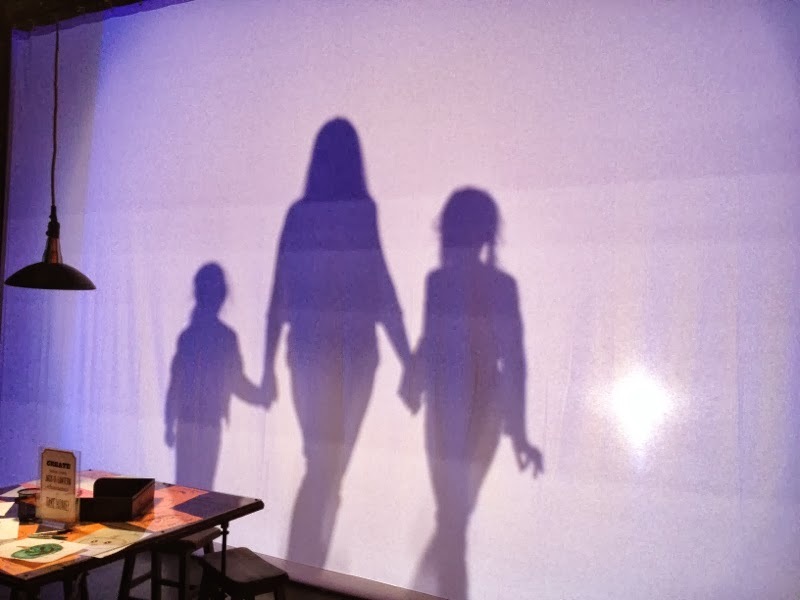 I just couldn't resist catching the shadow of me and my girls. And of course, the ultimate "monster getting the little girl" picture. It's really too bad you can't hear what was going on during this picture. It was hilarious. I should really invent something that can take pictures and do audio recordings at the same time. I shall call it video. Until then.....my awesome photo abilities. And we can't deny the electric connection my children have. And these two smarties discovered that the plasma balls would enable you to shock those of us without rubber soled shoes, but would not shock those wearing rubber soled shoes. Smart girls! 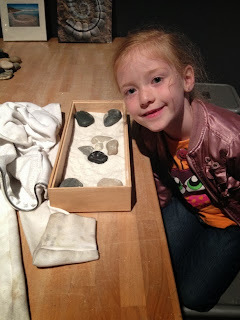 We must have spent an hour just in the one exhibit and we had so much fun! 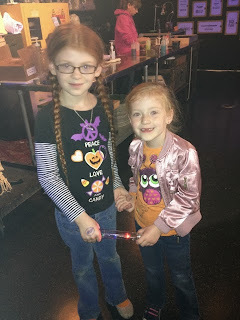 The girls got to make some flubbery goo and hang out with glow in the dark fish. Needless to say the girls were not huge fans of the tarantula, scorpions or hissing cockroaches. But we all know plenty of kids who LOVE those things. And the thing to love most.....they were behind glass walls. The best place for those things, really. And since we were there, we decided it might be worth our time to venture to the rest of the Leonardo. 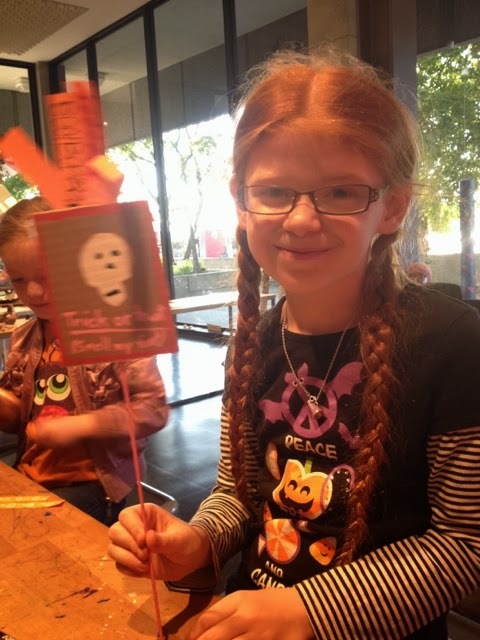 It was a good decision because we love the Leonardo. Really love it. And because I have now invented video, here is a live action video that CG took while I was drawing this lovely self portrait. I had no idea how strong jawed I was. Good to know. My favorite part is Lolly asking about my earrings. The girl is all about accessorizing. 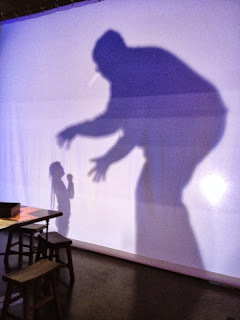 The Spooky Science exhibit is PERFECT if you're looking for a some Halloween fun that doesn't involve costumed teenagers jumping out at you. Plus, you'll probably learn a thing or two that you didn't know before. This year for Christmas we are changing things up a bit and spending money on experiences instead of more toys that will not get played with but will still need to be stored and organized. I think I'm seeing a family membership under our tree some time in the future. Until then, we will make the most of it when we do go. On this particular night we "may" have stayed four hours. Maybe. And if we didn't desperately need to eat dinner we may have stayed even longer. 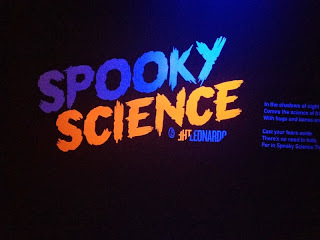 Disclosure: My family was given passes to attend the Spooky Science exhibit at the Leonardo. All opinions, pictures, video and self portraits are my own. I was very surprised to see I had so much skin damage. And I'm not gonna lie.....I was a little terrified to have the lightening treatment done. I've heard the stories from my older friends/family about having skin cancer spots burned off. It didn't sound pleasant. But let's be honest....does anyone think that having lasers shot at your face is going to be a pleasant, relaxing experience?! I opted to have a full skin lightening done, with special attention to a few darker spots that had appeared in the last year or so. From what I understand from the lovely technicians at Elase, you can opt for spot treatments and it's not nearly as painful. Either way, I highly recommend using Dr. Numb. Not only does it help with pain management but, if you're like me, it will make your lips go numb which you will find absolutely hilarious in your pre-appointment nervousness. The actual treatment probably lasted less than ten minutes. The technicians at Elase are very professional and move through the treatment very efficiently, while still allowing you to get your bearings if the pain gets to be a bit too much in a specific area. Right after the treatment they had me apply aloe vera gel and it really helped soothe the skin. The day I had the skin lightening done, my face felt like I had a bad sunburn but as soon as I would put aloe vera on I would feel immediate relief. By the next day I didn't really feel any discomfort at all. Over all I have to say that the most painful part of the process was having to take pictures of myself every day. I took a "before" picture and then another picture each day to show the progress. I took many pictures of myself people! For you! And I'm just not a big fan of taking selfies. I would have to really psych myself up to take those blasted pictures. Sometimes I would even go the extra mile and put on lipstick. Just to take the picture. But I did it so that we could all see the difference that it made. So now I present to you my adventure in awkward self photos. See what I mean? That was painful. Posting them was worse than taking them. But I thought you would want to see what the entire process is really like.